Meet the 18 artists chosen by Bamboo during blind auditions of The Voice Kids Season 2. For this second season of The Voice Kids, the three judges, Sarah Geronimo, Bamboo, and Lea Salonga, had their own ways of signifying membership in their groups. For Coach Bamboo, he opted to give gray scarfs to members of Kamp Kawayan and he ended by having his photo taken with a camera that printed their photo on the spot. Coach Sarah opted to give away necklaces with the letter S as a sign of their friendship while Coach Lea chose to give medals as a sign that they will join Team FamiLEA. The Battle Rounds of The Voice Kids 2 will commence next Saturday, July 25, 2015. Nine-year-old Romeo Espino from Tondo, Manila impressed Coaches Sarah Geronimo and Bamboo Manalac when he sang the hit Alamid song "Hesus." “Ang gusto ko sa boses mo, parang anghel at ang boses mo ay natural,” beamed Coach Bamboo as the young boy joined Kamp Kawayan. Atascha Mercado from Novaliches, Quezon City performed Clean Bandit’s “Rather Be.” This three-chair turner picked Bamboo as her coach. “The way you move, para kang nagko-concert,” Coach Lea told the 13-year-old contestant. Mercado admitted she admired Coach Lea and Sarah but she picked Team Bamboo to serve as her mentor. The contestant from San Diego, California, Altair Aguelo, performed the Sam Smith hit song “Stay With Me,” which impressed the crowd and the three judges. “You have something very natural. You are a very soulful singer,” Coach Bamboo told the 11-year-old kid from the U.S.
Christian Pasno, 10, from San Juan, Batangas made all three Coaches turn for him when he sang Jovit Baldivino's "Ika'y Mahal Pa Rin." In the end, Christian chose Bamboo as his Coach. “Your connection on the song was there. The power and the tone was also there,” Coach Bamboo told the 13-year-old artist. Coaches Lea and Bamboo turned for Benedict Inciong of Lipa City when he sang “If I Sing You A Love Song.” However, the 11-year-old artist picked Bamboo as his coach. “I think, I’m sure I know what to do with you,” Coach Bamboo told Benedict. Nicole Apolinar from Cebu City was able to capture the heart of Coach Bamboo when she performed One Republic's “Secrets”. “To be honest, what I hear from you is potential,” the rock icon told the 12-year-old contestant. When Sim Teves, 12, sang Sam Smith's “Stay With Me,” she received three-chair turns from the coaches. “That was ethereal. Your voice quality is beautiful. The interpretation was very sincere,” Coach Lea told Sim who hails from Dumaguete City. Brothers Emman and Sandy Tanyo entertained the judges when they performed onstage using a diwdiw, a musical instrument created by their father using a “kaserola” (pot). 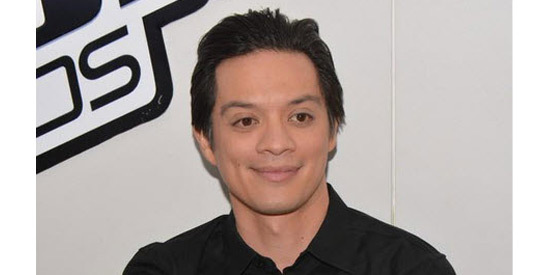 “Parati kong sinasabi, yung hinahanap ko sa Kamp Kawayan ay ang kulay,” disclosed Coach Bamboo. 13-year-old Alexis Prieto from Cebu City performed her version of “Balay Ni Mayang” (Visayan Song). “That’s all I ask – the commitment to your heart of what you want to do. If you love this, you come here," Coach Bamboo told Alexis. “Akala ko mga 10 ka na…yung kulay ng boses mo, may quality na magandang pakinggan talaga,” commented Coach Bamboo. Sassa Dagdag, 12, from Angeles, Pampanga sang Sia’s “Chandelier” for the blind auditions of The Voice Kids. Coach Bamboo, who, along with Coach Sarah, turned after hearing only a few notes, said he found the whole performance very interesting. Sarah observed, "Kumpleto itong batang ito. From her looks, paano siya tumayo sa stage, hindi niya kailangang bumirit, napaikot niya kaagad kaming tatlo." By singing Maroon 5’s "Sunday Morning," Ashley Alcayde, 11, from Quezon City was able to pass the blind auditions. An 11-year-old boy from Cebu, Paul Abellana, revealed that he did not have any formal lessons but he loves singing. He joined ABS-CBN’s reality singing competition in order to help his mother who was diagnosed with breast cancer. When he sang Bruno Mars’ “Marry You,” Coach Bamboo turned his chair at the last minute. “Ang linis ng pagkanta mo. Kaya lang napatagal ako [sa pag-ikot] kasi hinanap ko yung apoy sa pagkanta mo. Feeling ko, maituturo ko sa ’yo yun," Coach Bamboo told Paul. After his performance, Sarah commented, "Ang linis ng pagkanta mo. "Kulang pa sa puso siguro kasi hindi ka pa handang magpakasal. Ako lang ang handa na magpakasal! Joke!" Nine-year-old Crissel Ignacio made Coach Bamboo Manalac turn because of her rendition of "Pangarap na Bituin." “I am happy that I’ll be your coach,” said Bamboo to the girl from Cainta, Rizal. “Yung power definitely nandun. It shows me that I have a very strong singer in fornt of me,” said Coach Bamboo before giving her the sarong that signifies she is joining Kamp Kawayan.